WASHINGTON — For Justise Winslow, a young forward on the Miami Heat, the most memorable part of his team’s early-season visit to the National Museum of African American History and Culture was the permanent presentation on Muhammad Ali. The section honoring Ali abuts the larger athletics gallery, a spatial acknowledgment that his significance is too capacious to be contained even by the wide world of sports. College basketball teams, including squads from Maryland, Michigan State and Vanderbilt, have included the museum as an educational stop. And this spring, a contingent from the Yankees, led by pitcher C. C. Sabathia, came from Baltimore during a series against the Orioles. “There were a lot of things that we didn’t know,” Sabathia said. No league, however, has had more representatives than the N.B.A. According to museum officials, nearly half of the league’s 30 teams — from the hometown Wizards to the cross-continent Los Angeles Lakers, and the Portland Trail Blazers to the Knicks — have had members tour the museum. The N.B.A. commissioner, Adam Silver, and Michele A. Roberts, the executive director of the National Basketball Players Association, both have visited. Michael Jordan, who owns the Charlotte Bobcats, pledged a $5 million donation before the museum opened; a hall in the sports exhibit is now named for him. Both of the likely participants in the N.B.A. finals have personal connections. 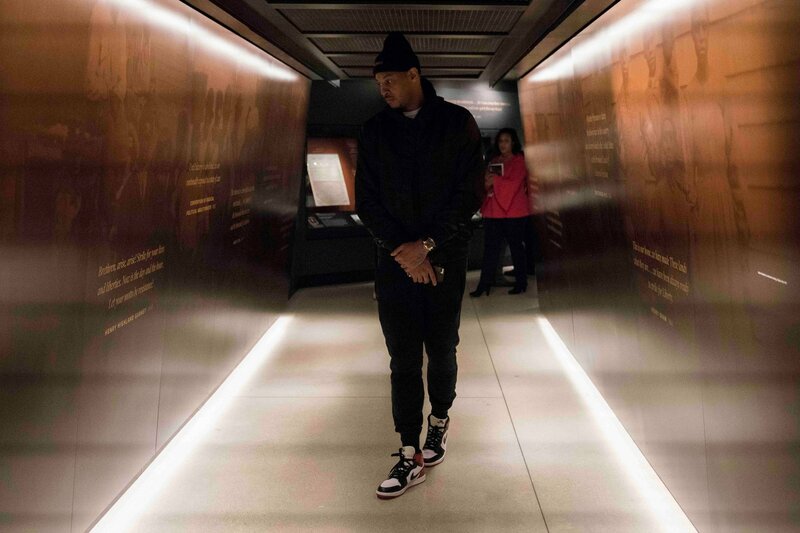 Several members of the Golden State Warriors’ roster and staff toured the museum in March. (A team video shows the assistant coach Jarron Collins next to a picture of his twin brother, Jason Collins, who in 2013 became one of the first openly gay athletes in a major American sports league.) And the Cleveland Cavaliers’ LeBron James, along with his foundation and business partner, donated $2.5 million toward the Ali exhibition. 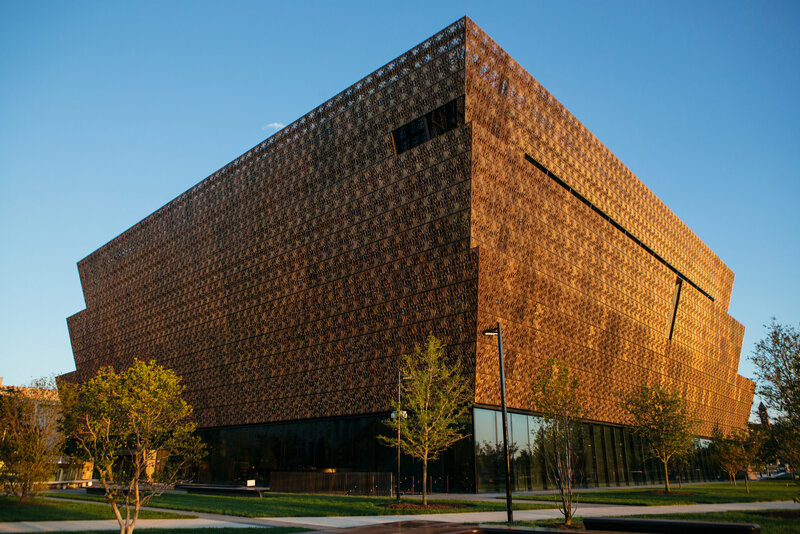 “His support will help us to continue the story of Muhammad Ali and will encourage athletes to realize how important athletics is in terms of social justice,” the museum’s founding director, Lonnie Bunch, told USA Today when the gift was announced. The marriage of athletics and social justice, in fact, was a founding principle behind the permanent sports exhibition, according to that gallery’s curator, Damion Thomas. The choice is immediately apparent to visitors: The first thing one sees when approaching the permanent sports exhibition is a statue of the 200-meter medalists at the 1968 Olympics in Mexico City, where two of them, the Americans Tommie Smith and John Carlos, raised their gloved fists in the black power salute. Given the way James and other N.B.A. players have embraced more activist, and more public, roles as spokesmen on social issues and as advocates for black Americans in recent years, the synergy between the league and the museum seemed natural, said Devin Booker, who visited the museum with his team, the Phoenix Suns, in November.